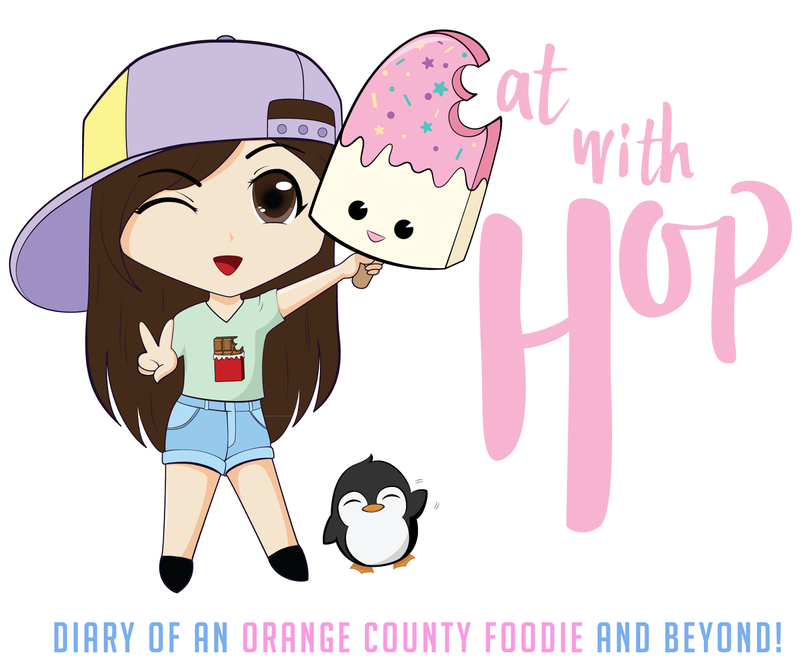 SATISFYING TEA CRAVINGS @ CRAVED TEAHOUSE - FOUNTAIN VALLEY - EAT WITH HOP! A little more close-up! Click to Enlarge! 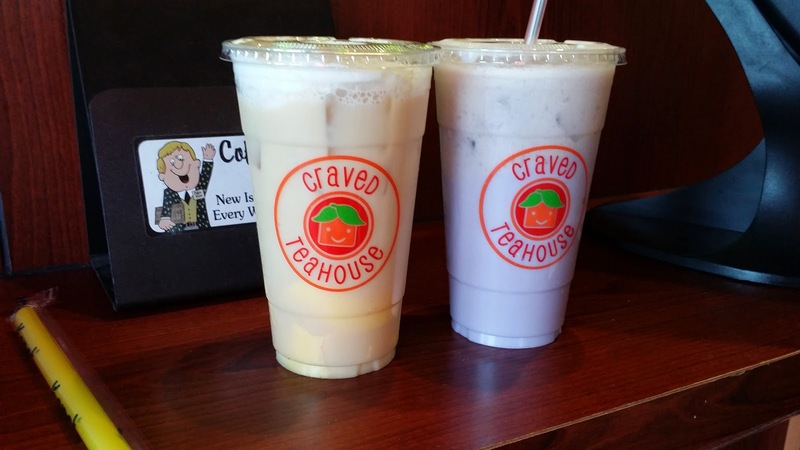 We were in the neighborhood so we decided to check out CRAVED TEAHOUSE! I've heard nothing but good things about this place so why not right? Kev and I were thirstayyy after eating some Banh Beo at Hue Oi Vietnamese Restaurant which is located in the same plaza. 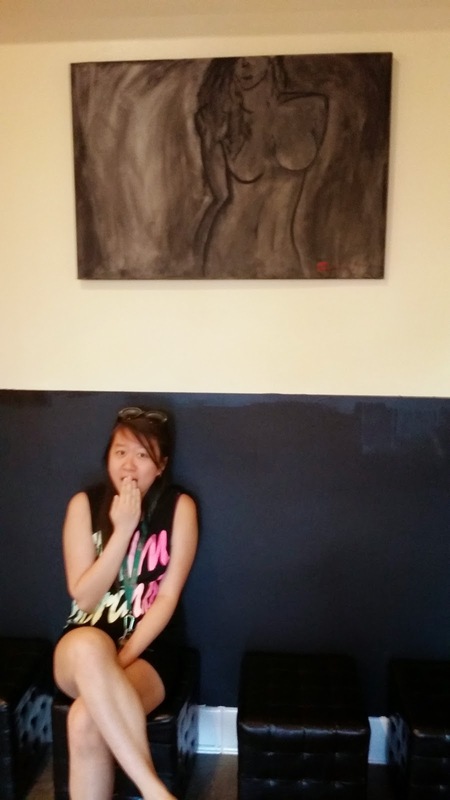 Craved Teahouse is in the corner so it's hard to miss while driving by but we were a bit confused while in the plaza. Anyway, we found the place and walked in to find a quaint little cozy teahouse! 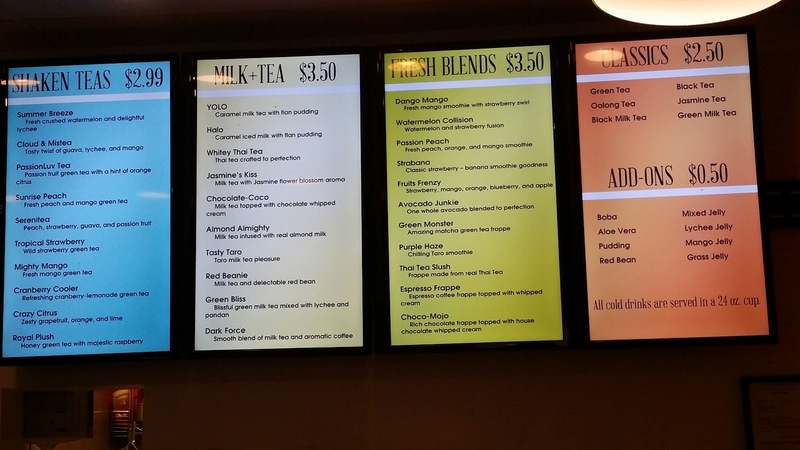 This place may be small but their drink selection is huge! Their prices are not too bad either and the customer service was pleasant. We had a hard time deciding (as always at any teahouse...hehe) but we decided to try the suggested popular drinks! I got the Jasmine's Kiss with Flan Pudding and it was delicious! A little bit on the sweet side but I didn't know. Next time I'll ask for it to be less sweetened. Kev got the Tasty Taro which is great too! However, it tastes as if they probably use the Taro Powder as most places do use. It was still a "tasty" taro drink though! 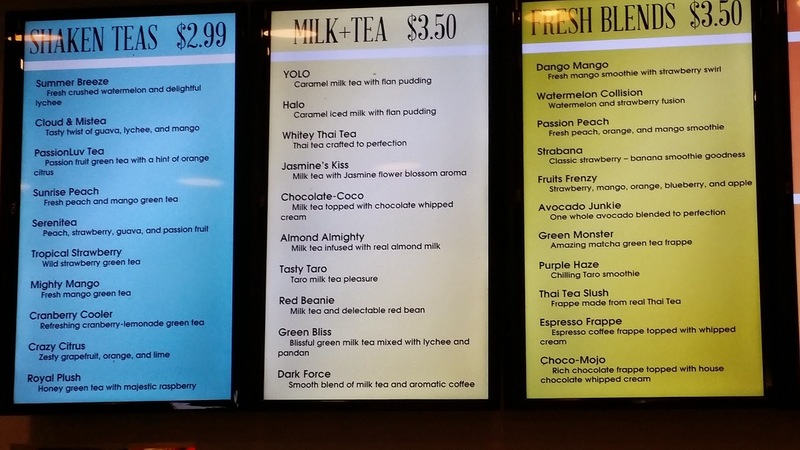 Their number one popular drink apparently is the YOLO which is caramel milk tea with Egg pudding. Kev got that last time and he said it was pretty legit.